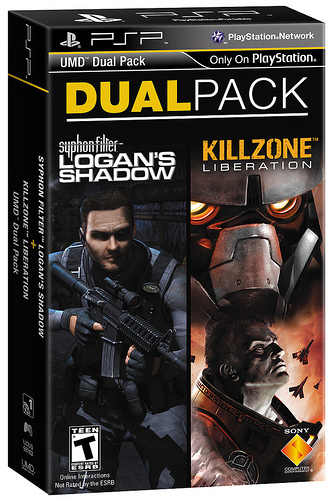 Sony has unveiled a new line of PSP bundles called “Dual Packs”. This week, three different dual packs will be available to purchase, which include two popular games in one package for only $14.99. A perfect bargain if you are looking to pick up some classic titles for your PSP. 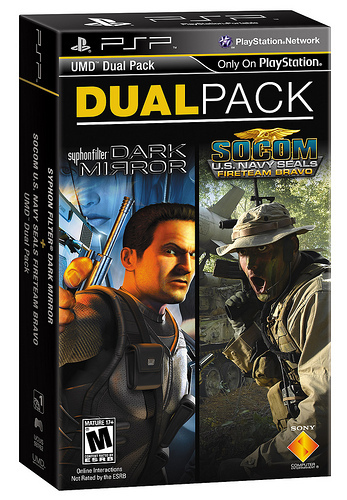 The initial three Dual Packs include Secret Agent Clank and Daxter; Syphon Filter: Logan’s Shadow and Killzone Liberation; and Syphon Filter: Dark Mirror and SOCOM: U.S. Navy SEALs: Fireteam Bravo. 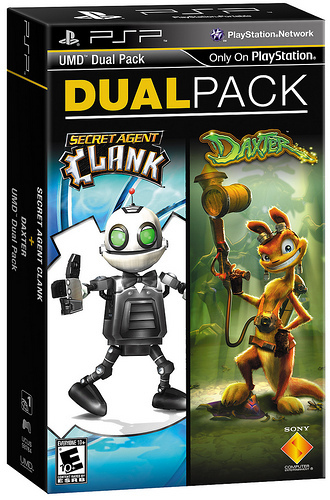 These PSP Dual Packs will be available at retailers nationwide and on the PlayStation Store in downloadable form.